We had a whirlwind trip to Seattle and now are back to the weekly grind. Our trip started off *very* early Saturday morning. Earlier than we had scheduled because someone (not me) woke up at 3:30 in the morning and couldn’t go back to sleep. Bah! So we just got up, got ready and were out the door at 5 to catch our flight. It is nice at times like this to live literally 5 minutes from the airport. By 20 after 5 we were through security and ordering a mocha for the plane. Good Morning! Not looking too bad for 5:45 AM. 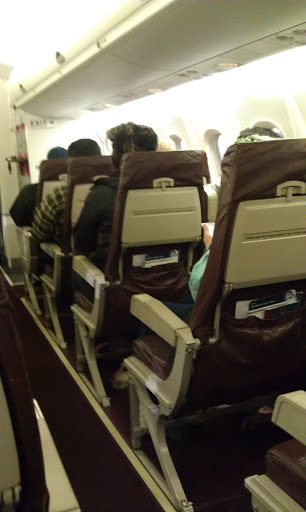 We flew on Horizon air, using our air miles, so the tickets cost me a grand total of $10. Yes, ten dollars. 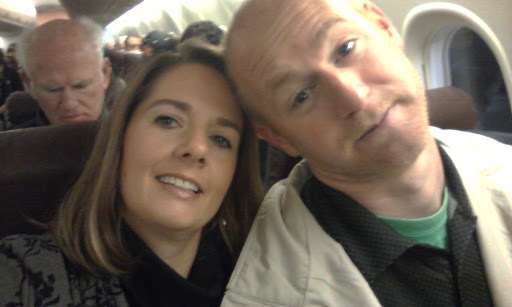 We were on the smallest plane I have been on in a long time, and it was lacking in amenities. I told Chris that I have been on nicer buses in Mexico. The seats were hard, very narrow and the seat backs don’t even recline. They had no pillows or blankets and the overhead bins were very small. Yup, it has been a long time since I was on a place like this. In a little over an hour we landed at Sea Tac airport. We have a friend that works for Alaska Airlines at Sea Tac who happened to be working that morning! He meet us at the gate and we visited with him for almost an hour. 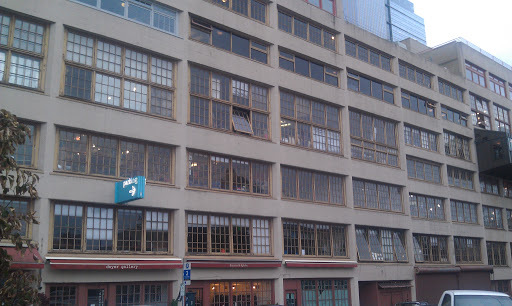 We parted with plans to meet the next night for dinner for a better chance to visit. It was great to see him! We had not seen him in a number of years, but it is always like picking up right where we left off. 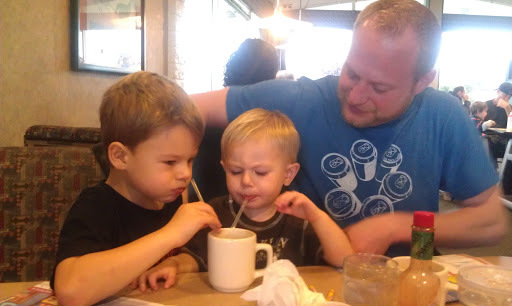 We ran a couple of errands (yes, we had a few things we had to do in Seattle when we first arrived) and then met my brother-in-law Corey for breakfast with our nephews, Beau & Bear. They were sharing a hot chocolate…so cute! Beau is very smart and interested in science. He was telling me all about all different kinds of flowers, how compasses work, stuff you can do with a magnifying glass and told me that microscopes let you see things that are really, really tiny, like onion cells, but that people cells were red. Wow!! Lookout science world…my nephew is coming! Bear is only saying a few words, but he can say Corey and he can say NO! And he can also say MINE! And he can say No, Ocho. Ha! He is a cute kid. After breakfast and a bit more visiting, we headed off to pick up my niece! I haven’t seen her since last Christmas and I miss her a lot! We drove to North Bend, Washington where she is living now. We ended up hanging out there and socializing with her mom and moms boyfriend for the rest of the day! It was SO nice. Mom Tawnya had made some homemade blackberry wine, so as we got into the afternoon we decided to have a glass of wine. It was delicious! I didn’t take pictures, buy Shanelle, my niece, has a new little dog named Lala. She is tiny! 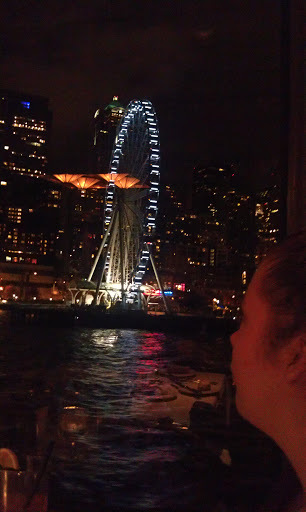 That evening we headed out with Shanelle to meet my mom and my grandma at the downtown Seattle waterfront. 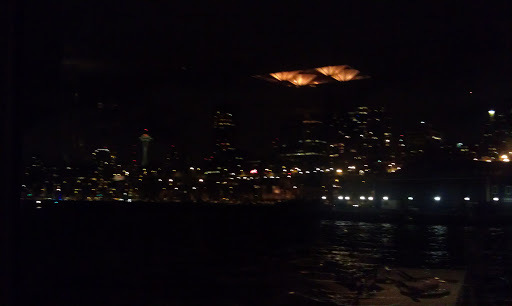 We were going on a dinner cruise in Elliot Bay. I took this picture the next day. 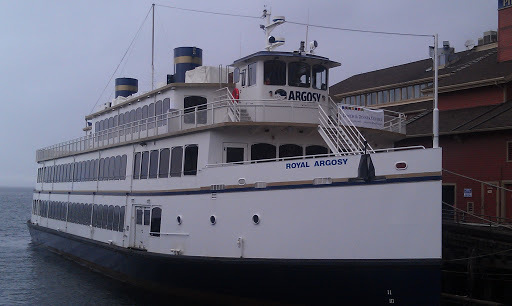 I highly recommend the Argosy line of cruises. 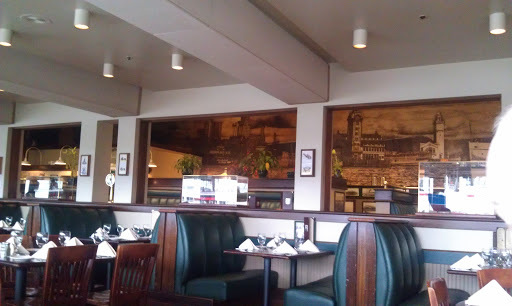 The meal was very good, the live music was lovely, the waitstaff attentive but not annoying. We had a window table, and though it was really dark I snapped a couple of quick pics. Above is the downtown skyline (shot through the window with some reflection of the interior lights) and below is a profile shot of Shanelle looking out at the Ferris wheel (also through the window with interior light reflection). It was a lovely meal and a very nice visit with mom and grandma, too. We decided to keep Shanelle over night with us and do more fun stuff on Sunday, so we headed back to our hotel around midnight. That was a long day! 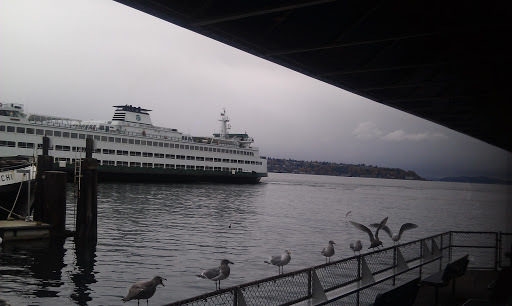 We stayed at the Larkspur Landing in Renton, which was a very nice executive suite hotel. I didn’t take any pictures because after getting up at 3:30 that morning and not getting to bed until midnight, I was exhausted. Two things I thought were weird: no fan in the bathroom and the lighting in the bathroom was really odd. It was a very quiet hotel though, and they are pet friendly! I will be doing a review on Yelp of the hotel, and the other places we visited. 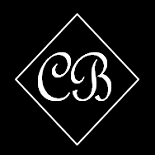 You can visit my Yelp profile (my name: Corrie Beebe) to read all my reviews. I did not sleep well at all that night. It had nothing to do with the hotel room, I just couldn’t relax and my stomach was upset (which happens when I am exhausted and can’t relax). Ugh…it made for a very long night and my exhaustedness was compounded greatly on Sunday. Needless to say, we didn’t get the earliest start to our day. 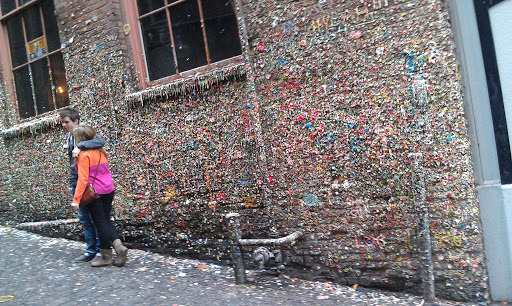 Our first stop of the day was one of the main reasons we had decided to go to Seattle in the first place. Chris’ dad passed away on October 24 1975. 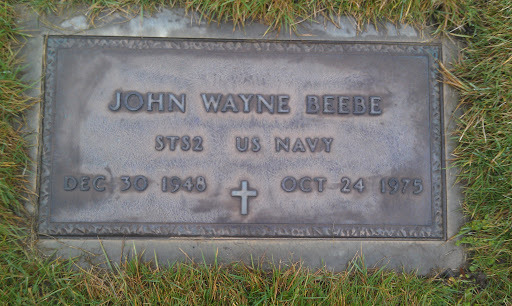 We were talking a few weeks ago that the anniversary of his passing was coming up and that we had not been to the cemetery in a number of years. 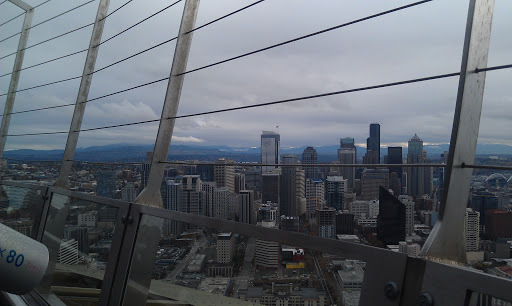 We decided we should definitely go and so we planned our trip to Seattle. 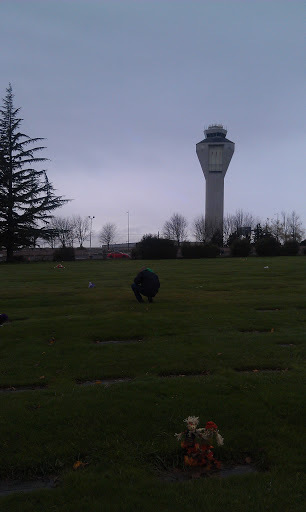 Chris’ dad is buried near Sea-Tac airport; he was in a motorcycle accident and did not survive. Chris was about 19 months old and has no recollection of his dad. We stopped at the cemetery, found the grave marker and spent some time there. It was somber, but powerful and important. I am glad we made the point to go. Shanelle was with us, but she stayed in the car. 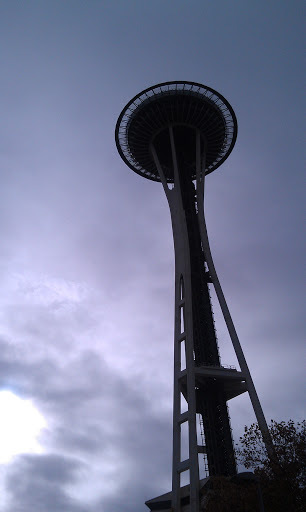 After that we decided to lighten things up a bit by playing tourist in downtown Seattle: to the Space Needle we went! Shanelle had never been there, though she is a born and raised Washingtonian. 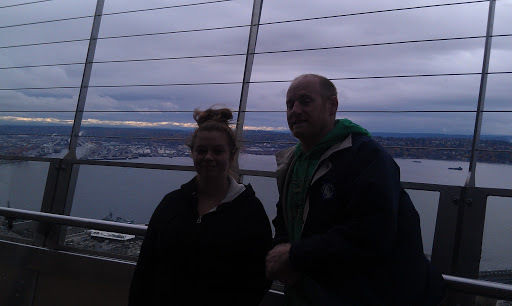 Shanelle & Chris on the observation deck. 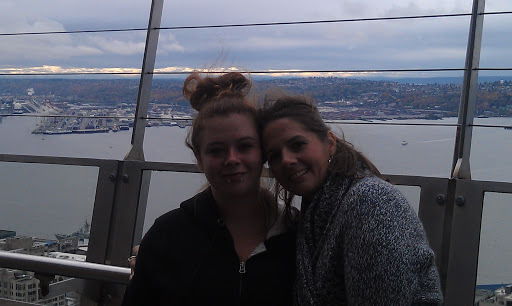 Shanelle & I on the observation deck…I LOVE how this pictured turned out!!! 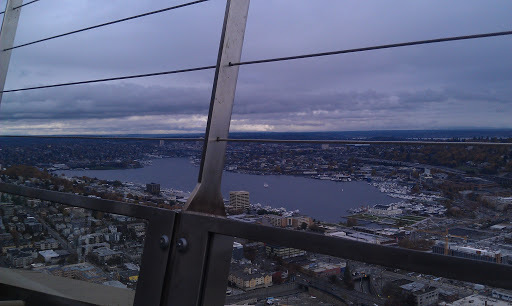 It was cloudy, and a bit breezy on the observation deck, but the air temperature was warm enough that I never wore a jacket all weekend. Now THAT is amazing for Seattle in November! 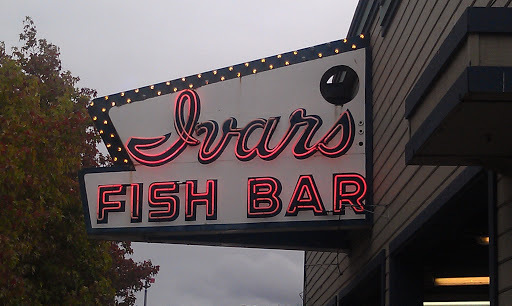 After the Space Needle it was time for lunch so we headed back down to the waterfront to visit Ivar’s famous seafood. Neither Shanelle or I had ever been there so Chris was appalled and said that was where we needed to go. 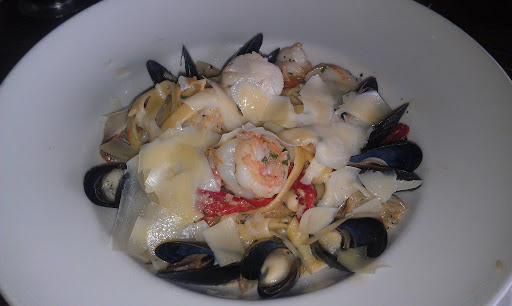 Shanelle ordered the seafood Alfredo (duh, that is all she ever orders) and it looked amazing. She said it was very good. 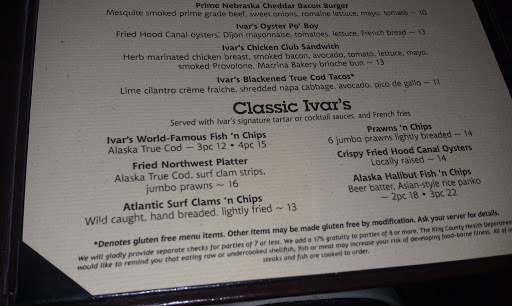 I ordered a bowl of Ivar’s famous clam chowder. 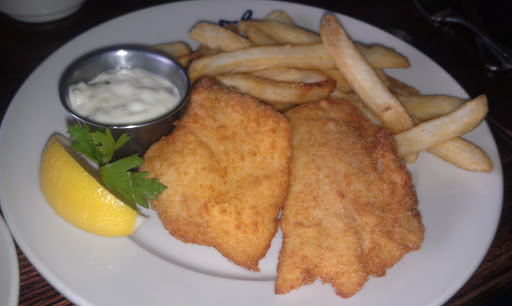 Chris and I then split an order of the four piece cod fish and chips. The waiter was nice enough to split the order on two plates and bring them both out. Nice! 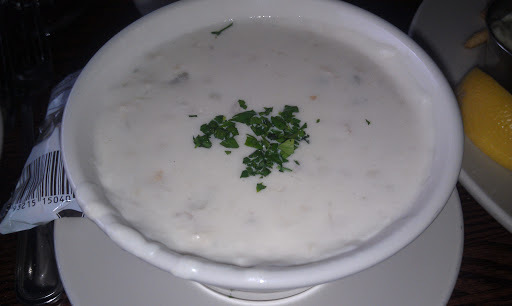 My tummy was still a little off so I enjoyed the chowder (it was rich and creamy, with chunks of clams) and ate just a little bit of the fish. It was not greasy really, but my stomach just wasn’t thrilled with the idea of fried food. Chris really enjoyed his and said it tasted “briney” like good seafood, which means it tasted very fresh. 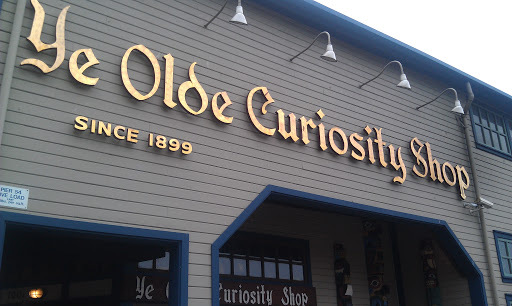 After Ivar’s we headed to Ye Olde Curiosity Shop to check out the mummy, shrunken heads, and the two-headed calf. Yes, for reals. I didn’t take pictures inside, but it was a little gift shop that had cute, touristy things, souvenirs, and the cool stuff mentioned above in the back. Chris was also appalled that Shanelle and I had never been there. 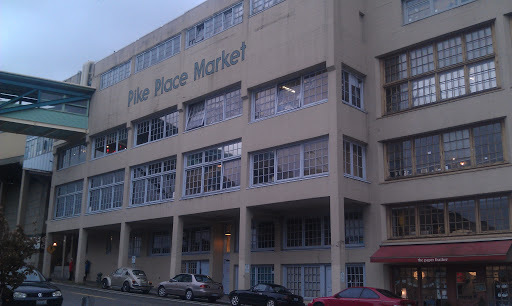 After that we were off to the third place Shanelle and I had never been: Pike Place Market! It is immense!! We didn’t even see a tiny percentage of it. 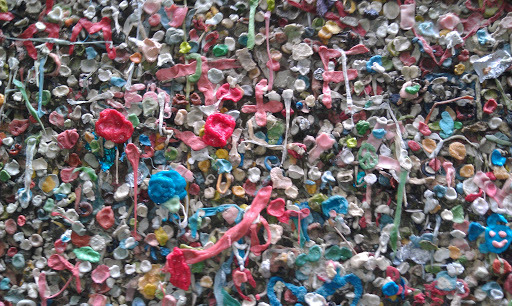 We did see the bubble gum wall (gross). 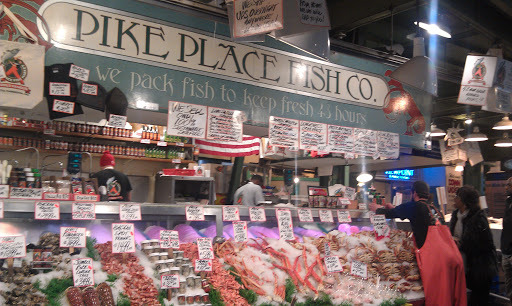 And we got to see the famous flying fish at Pike Place Fish Co.
Chris said Pike Place Market is a hippie swap meet and in a sense he is right. It was cool to check out, but there is SO much to see and look at, and so many people! Gah, I don’t do well with large crowds. 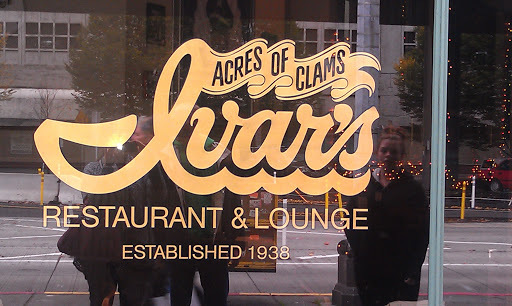 I’m glad I went and can say that I have seen it and if I ever lived in downtown Seattle I could see it being a great local option for fresh fish, meats and vegetables. After that it was time to take Shanelle back home. 😦 We had a great time hanging out with her and we just loved seeing her! Thanks for hanging out with us Shanelle!! Then it was back to Kent for dinner with our friend that we met up with at the airport the previous morning. He and his girlfriend joined us for hot wings at the Wing Dome. Now, the Wing Dome sounds cool, but really it is a small bar that is using hot wings as their niche market. They have 7 levels of heat. 3 is their most popular level, which is what I ordered, but they were not hot at all. I didn’t try four but our friends did and they said it was about tabasco level hot. We split another order of level 5 and that was hotter than I would want to comfortably eat. My lips were burning after just a small bite and I could smell the spiciness of the sauce. It wasn’t great, it wasn’t horrible, but it really was just a bar that served mediocre hot wings. I will be doing a review on Yelp. The visit with our friends was so fun though! We laughed and told stories and caught up on life. I love friendships like that; they withstand time and distance and start up again like no time has passed at all. Thanks Andy & Denise for taking time to meet up! It is your turn to visit now. And whoooosh, just like it was time to get the rental car back, get to the airport, through security, onto the plane and zip…home. We landed at about midnight, got home a few minutes later and went straight to bed (after some quick kitty snuggles). 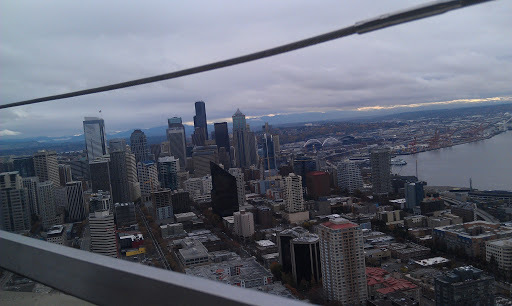 We had an excellent trip to Seattle. It was so full, but that fullness is what made is such a great trip. We loved seeing everyone we got to see and are sorry to have missed those we weren’t able to see. Quick trips are always a challenge, especially when there are so many things to do and people to see in such a short time. Tonight, we are both pretty wiped out and feel like it is going to be a long week. I will write up reviews on Yelp, so if you want more info on any of the restaurants or hotels click on over there in the next few days. 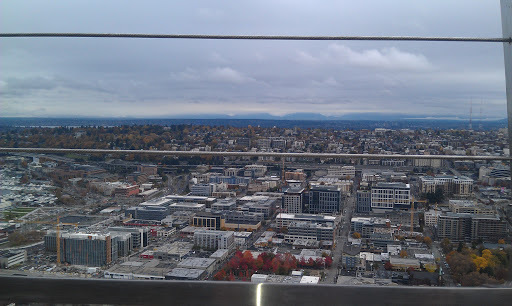 This entry was posted on November 6, 2012 by Corrie Beebe in adventures, family, food, friends, LOVE, reviews, Travel, Weekend Review.